Last edited by tarek on Sun Mar 31, 2019 9:04 pm, edited 1 time in total. Your starting Grid being the bottom right. You then display how the grid would appear if you moved up, if you moved left or if you moved diagonally up & left ( left and up achieves the same). You would need then to imagine that this block of 4 is endlessly surrounded by similar blocks of 4 from every direction. Last edited by tarek on Sun Oct 15, 2017 11:11 pm, edited 1 time in total. It is more difficult to explain the projective plane because it is difficult to visualize as a 3d structure. The difficulty arises from the fact that it extends the ordinary concept of Euclidean plane. Here, a king on Square 1 (r1c1) will leap orthogonally to Squares 81 (from 2 directions), 10 & 2. Diagonally it leaps to Squares 80, 11,72 and 1. This means that the King can leap to the same square. This unfortunately means that the King is incompatible with this type of continuity plane puzzles. Other Fairy chess pieces that are not compatible include the Camel (1,3) and Tripper (3,3). A knight leaping from squar 1 by 2 squares up and 1 square left would land on square 10. This makes the Projective plane challenging to visualize and more challenging to crack in a puzzle. Also with the block of 4 visualization you can confirm that leaping 9 squares up from square 12 would land on square 16. Leaping 18 squares up from square 12, however, would return to the same square. Note that the continuity plane rules apply to leaper only not to the Latin Square or Sudoku rules. this comes from the twisted mind of Smythe Dakota. With a cylinder or toroid, your grid edges are wrapped so that each line end is connected to the beginning of the same line. It is easy to visualise and it preserves the rules of Latin square/Sudoku as orthogonal travel on a line will come across the same cells you would encounter on a vanilla type board. Last edited by tarek on Sat Oct 21, 2017 6:43 pm, edited 1 time in total. tarek wrote: this comes from the twisted mind of Smythe Dakota. .... With a cylinder or toroid, your grid edges are wrapped so that each line end is connected to the beginning of the same line. It is easy to visualise and it preserves the rules of Latin square/Sudoku as orthogonal travel on a line will come across the same cells you would encounter on a vanilla type board. The above two look the same to me. In both cases, each line's ending is glued to its neighbor's beginning. I think it's just the camera angle or something. If each line's ending is glued to the beginning of itself plus 2 (instead of to itself plus 1), it will still wrap around, and cover the entire torus in 9 trips around the short way. But in so doing there will be 2 trips (instead of 1) around the long way. If, in place of the bolded 2 in the above paragraph, you substitute one of 1,2,4,5,7,8, then it will still take 9 trips around the short way, but respectively 1,2,4,5,7,8 trips around the long way. If you use 3 or 6 in place of 2, now you will have three separate helixes intertwined. To get around one of them would take 3 trips around the short way, and 1 or 2 trips around the long way (I think). Ah that escaped me. So the 2nd photo is not representative!!! I've had a play with the photo editor & got this close approximation of a skew = 2 (apart from the number of rotations). You can see that the 1,3,5,7,9 (blue numbers) is connected to the 2,4,6,8 spiral (yellow numbers). 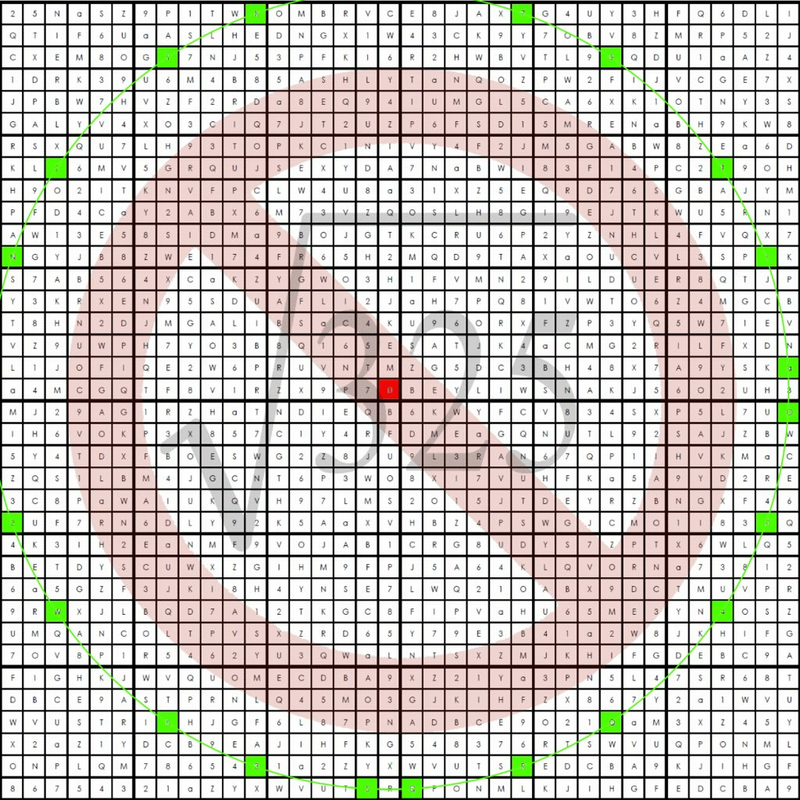 Red dotted ends stick to each other as do the green dotted ends. Last edited by tarek on Sun Mar 31, 2019 9:00 pm, edited 1 time in total. Question about the "Toroidal" name. I understood "Toroidal" to refer to a form of jigsaw sudoku in which the puzzle pieces (irregular nonets) could "wrap" around to the opposite side of the puzzle, whereas in the "Touchless Wrapper", all the nonets were 3x3 squares (albeit with the addition of the Anti-King constraint). Has that been changed, or is my initial understanding incorrect? enxio27 wrote: Question about the "Toroidal" name. I understood "Toroidal" to refer to a form of jigsaw sudoku in which the puzzle pieces (irregular nonets) could "wrap" around to the opposite side of the puzzle, whereas in the "Touchless Wrapper", all the nonets were 3x3 squares (albeit with the addition of the Anti-King constraint). Has that been changed, or is my initial understanding incorrect? The toroidal term refers to the board. On this doughnut shaped board the jigsaw nonets look like any other jigsaw puzzle. It is when you try to represent this doughnut (torus, toroid) on a 2-d page that some of those nonets get divided. These toroidal jigsaw puzzles (which is the proper description) were called toroidal only because imh they were presented to the public first and nobody challenged the accuracy of the term. Sudoku XV rules state that the cells sharing an X edge should sum to 10 and the cells sharing a V edge should sum to 5. Any cells that don't share an X or V edges can't sum to 5 or 10. 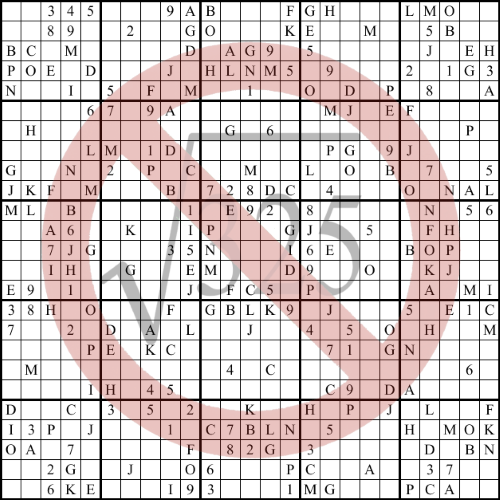 An entire sudoku puzzle in this variant with No X or V edges can't have adjacent cells sum to 5 or 10. I present some variations to that theme but with a twist. Not only do they not have X or V edges, I removed the number 5 symbol from the puzzle and removed the its next replacement "10" from the symbol list as well . You still have 9 cells to fill with numbers from 1 to 11 skipping the 5 and 10. 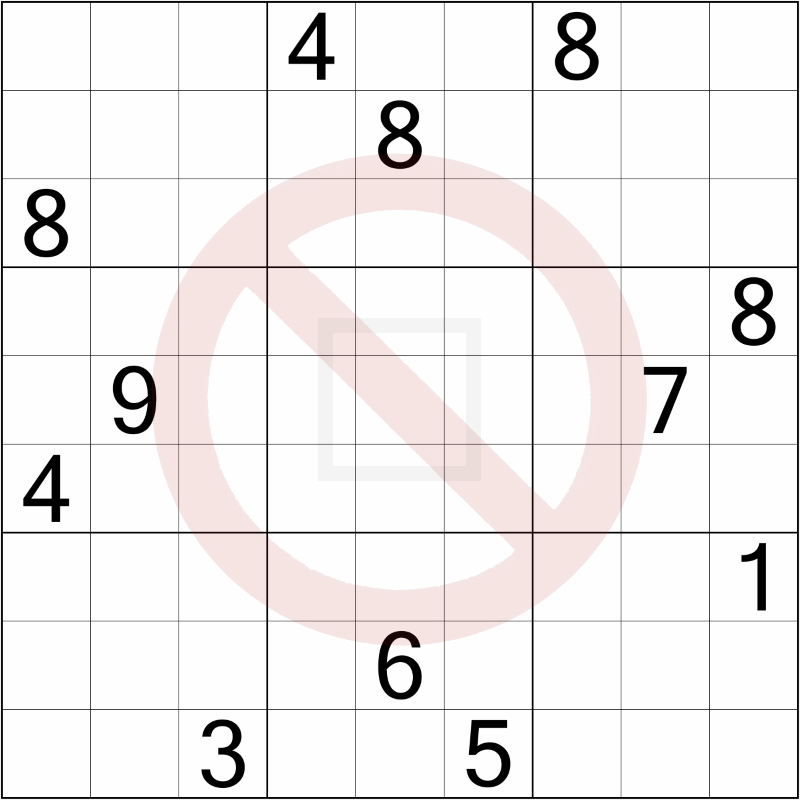 No adjacent cells can sum to 5 or 10 That is why you can safely call them Sudoku No XV puzzles.